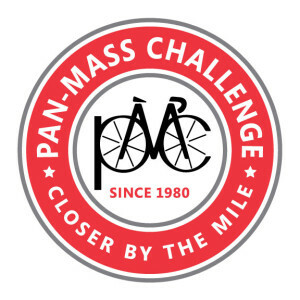 It’s that time again – the Pan Mass Challenge is coming up this weekend, and I will be riding for the eighth time along the 2-day, 200-mile route, as part of a village on wheels that comes together each year to fight cancer. The 5000+ riders, and the volunteer bike mechanics, massage therapists, folks who prepare and serve food and drink, folks who come out in droves to cheer us on, and say “Thanks for riding,” all come together in support of a cause. We need your help to support this cause — the Jimmy Fund at the Dana Farber Cancer Institute. I have not done as a good a job as usual of staying in shape this past winter, and my training rides have been uncovering muscles that I forgot I had. My family says I seem achier and whinier than before. But I'm getting myself ready for the big weekend, because I have many reasons to ride. As a cancer survivor myself, I know how important this ride is. I’ve benefited directly from the high-quality care provided by the Dana Farber and its affiliates, and I know that too many of us have had occasion to benefit directly or indirectly from the care and research that sustains us and our loved ones. I've had many family members and friends touched by cancer — and as if I needed another reason to ride, my mother in law was recently diagnosed with a very advanced case of metastatic melanoma. This year, I am riding in particular for her — to honor her, and to bring her infectious love of life into the PMC weekend and beyond. Please share this post with friends, family members, colleagues and business associates who you think will be moved by this cause to join in and contribute as well. 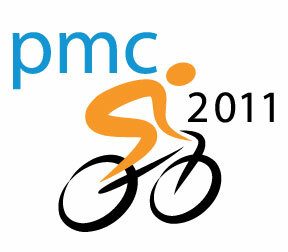 And please follow along on PMC weekend, the first weekend in August – whether you’re by the side of the road, or following along at home via Twitter (follow hashtags #pmc and #pmc2011 or just check out the tweetstreams that will be posted on HealthBlawg starting Friday — both the general PMC tweetstream and my own, complete with photos from the water stops along the way) or New England Cable News, or simply sending us your good vibes, we draw strength from your support.